Captain Howell was born in Newport, Rhode Island. The son of a career Naval officer, he traveled extensively while growing up, living in several U.S. and overseas locations. He graduated from the University of Louisville Naval Reserve Officer Training Corps program in 1979, earning a bachelor of science degree in Finance and receiving a regular commission. After the completion of flight training, he received his “Wings of Gold” in January 1981. Following Fleet Replacement Pilot training in the RH-53D Sea Stallion, he reported to his first operational assignment with Helicopter Mine Countermeasures Squadron 14 (HM-14), NAS Norfolk, Virginia, followed by a tour with HM-12 as a flight instructor, serving until 1986, when he voluntarily resigned his regular commission and left active duty. In 1988 he voluntarily transferred to the Training and Administration of Reserves program. His initial TAR assignments were as liaison officer to the staff of Commander, Helicopter Tactical Wing One and with HM-18 where he served as the squadron’s Safety Officer, Aircraft Maintenance Officer, and ultimately as squadron Officer-in-Charge. During this assignment he also completed the requirements for a Masters in Business Administration degree. In September 1992, Captain Howell reported to the staff of Commander, Helicopter Wing Reserve, NAS North Island, California, as the AMCM program manager. In April 1995, Captain Howell reported to the Bureau of Personnel, Washington, D.C., as the Aviation Officer Detailer and Placement Officer for all Reserve Force aviation communities and commands. In August 1997 he reported to HM-15 at NAS Corpus Christi, Texas, as Executive Officer. He served as Commanding Officer of HM-15 from December 1998 to March 2000, leading his squadron on deployment embarked in USS INCHON. The command was awarded Navy Unit and Joint Meritorious Unit Commendations and earned the Battle “E” for 1999 and 2000. In June 2000, Captain Howell returned to the staff of Commander, Helicopter Wing Reserve, serving as Wing Commander from July 2001 to August 2003, deploying two squadrons in support of Operation Iraqi Freedom. In August 2003, Captain Howell reported to the Operations Directorate of U.S. Transportation Command, Scott Air Force Base, Illinois, as Chief, Joint Operational Support Airlift Center. 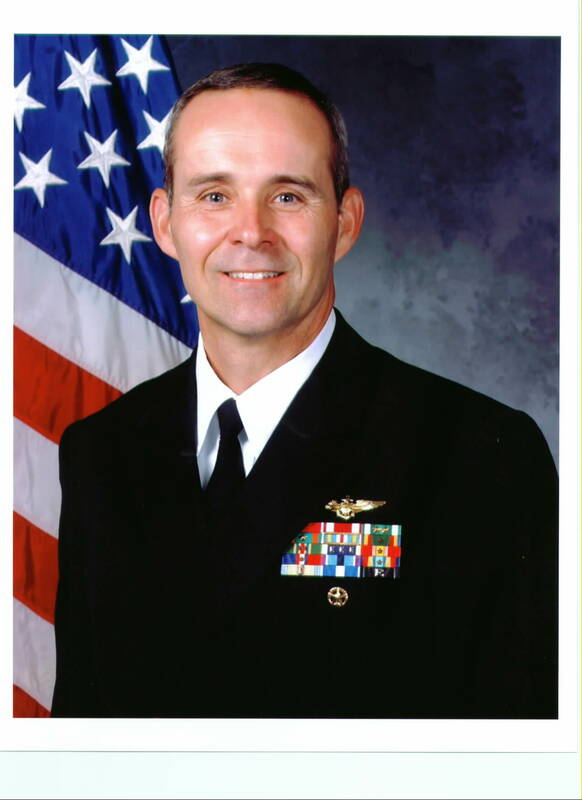 In September 2005, Captain Howell retired from active service, and joined Booz Allen Hamilton. Captain Howell is married to the former Nancy Bell of Nashville, Tennessee. They reside in Chesapeake, Virginia.